RAPT is the Rosie McDonald, Ann Palumbo and Paul Laszlo Trio. A dynamic three with a vibrant energy created by the sum of the parts.. 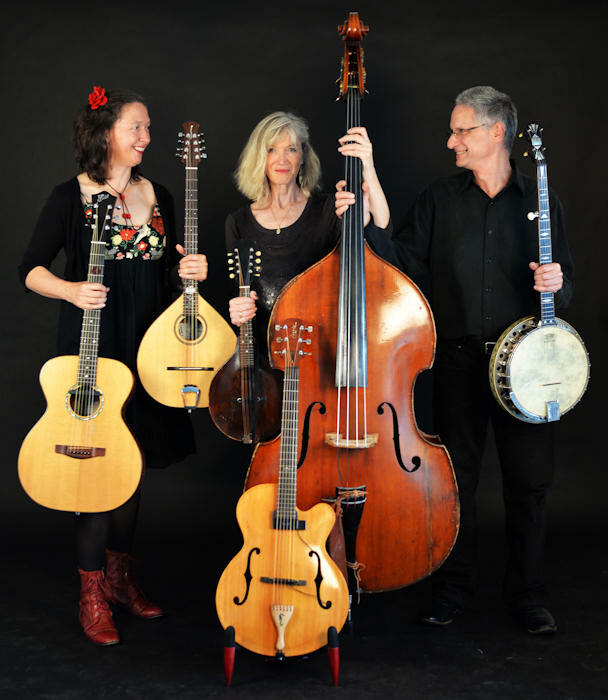 Combining the many musical loves of the band members, their performance is rich in folk, celtic, blues, jazz and classical influences which can be heard in their arrangements and their original material. With diverse instrumentation and great harmonies, their music is uplifting, dynamic, personal, colourful, powerful, exciting and invites you into their world. A short description offered by one fan was "jazz-edged folk".Among the highlights of their time together so far, are performances in 2013 including Europe - Geneva , Paris and London, the Snowy Mountains Fest, Turning Wave Fest, Mudfest International Film Fest, Dungog and Northern Beaches festivals, The Basement in Sydney and the Clarendon in Katoomba. Other highlights have included appearances at Camelot and the Basement, the National Folk Festival in 2012 and 2011 and the 2010 Human Rights Awards among other concerts and festivals.